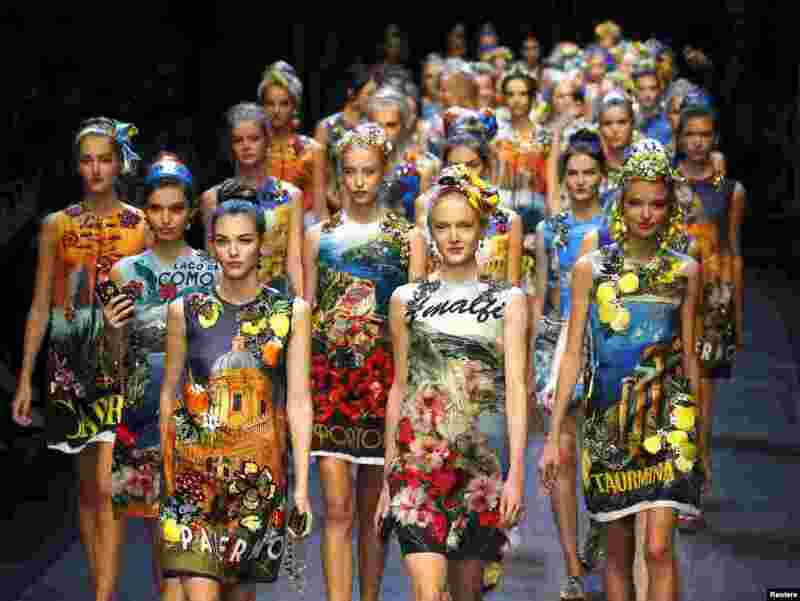 1 Models parade at the end of the Dolce & Gabbana Spring/Summer 2016 collection show during Milan Fashion Week in Italy. 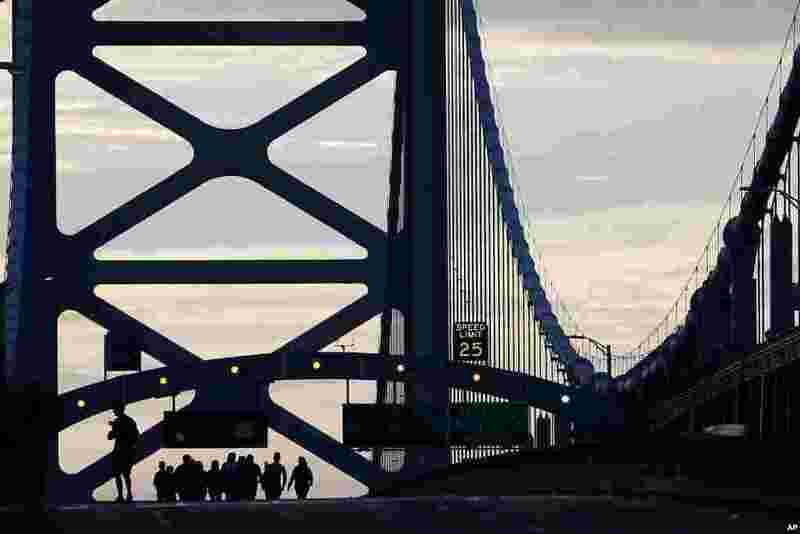 2 A family from Trenton, New Jersey, walks over the Benjamin Franklin Bridge ahead of a Sunday Mass to be delivered by Pope Francis in Philadelphia, Pensylvania, before flying back to Rome. 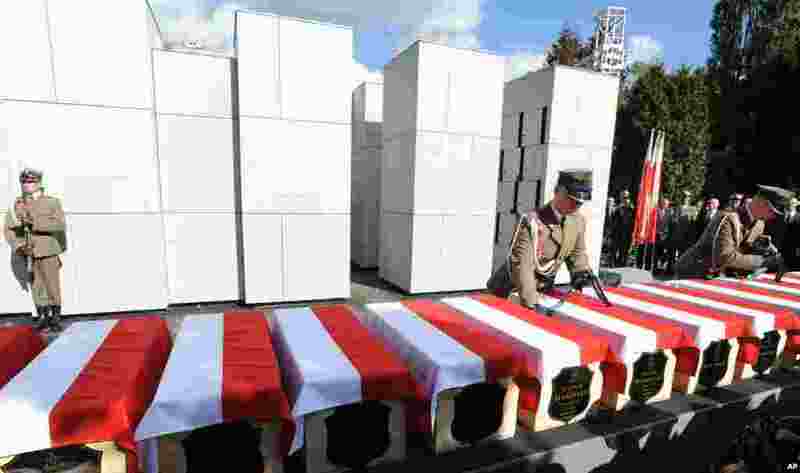 3 Polish Army soldiers adjust ribbons on coffins during the first burials of World War II heroes who were later secretly slain by the communists, at the Powazki cemetery in Warsaw, Poland. Remains of 35 Polish soldiers with bullet holes through the back of the skull were burried after being recently recovered from unmarked mass graves. 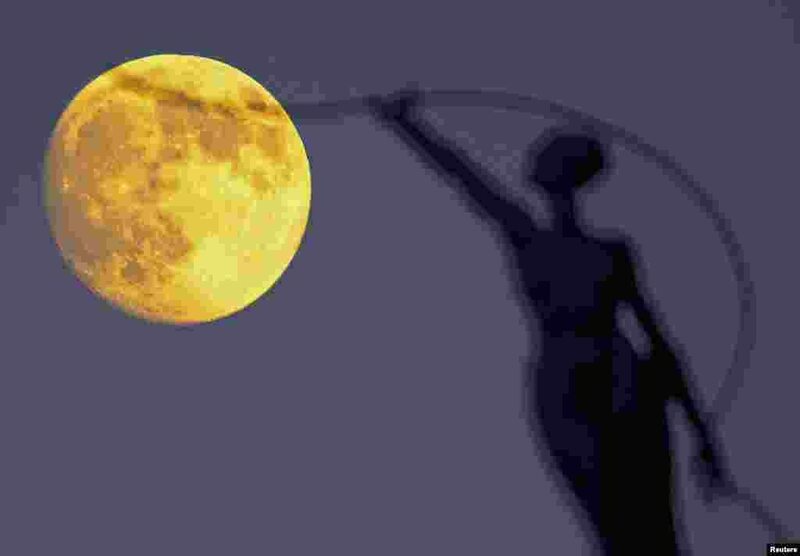 4 A statue is seen silhouetted against the moon in Brussels, Belgium, Sept. 26, 2015. 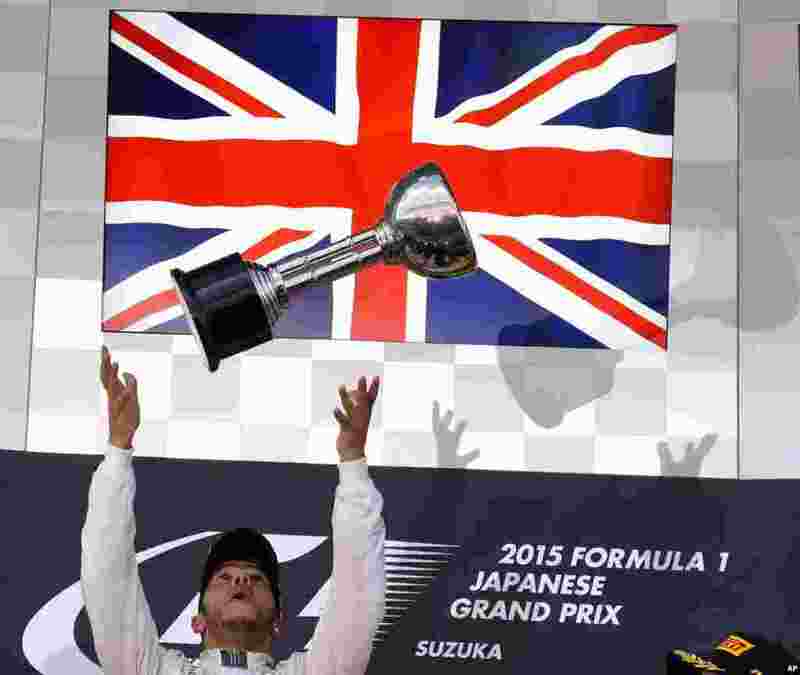 5 Mercedes driver Lewis Hamilton of Britain throws the trophy into the air on the podium after winning the Japanese Formula One Grand Prix at the Suzuka Circuit in Suzuka, central Japan. 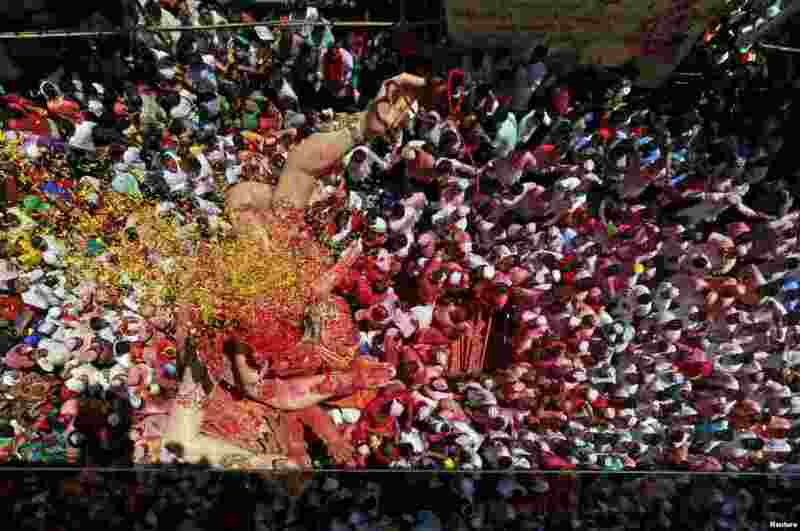 6 An idol of Hindu god Ganesh, the deity of prosperity, is showered with colored powder and flowers as it is taken through a street on the last day of the ten-day-long Ganesh Chaturthi festival in Mumbai, India. 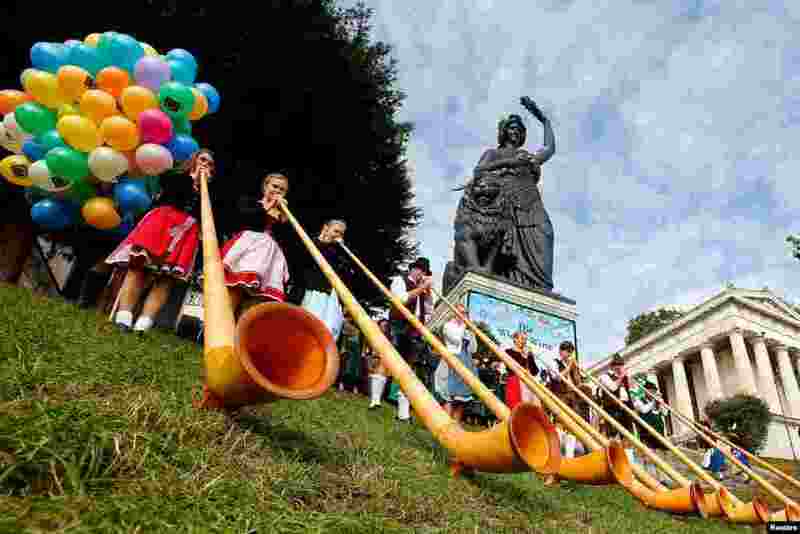 7 A Alphorn band in traditional Bavarian clothes play instruments during the traditional concert at the 182nd Oktoberfest in Munich, Germany. 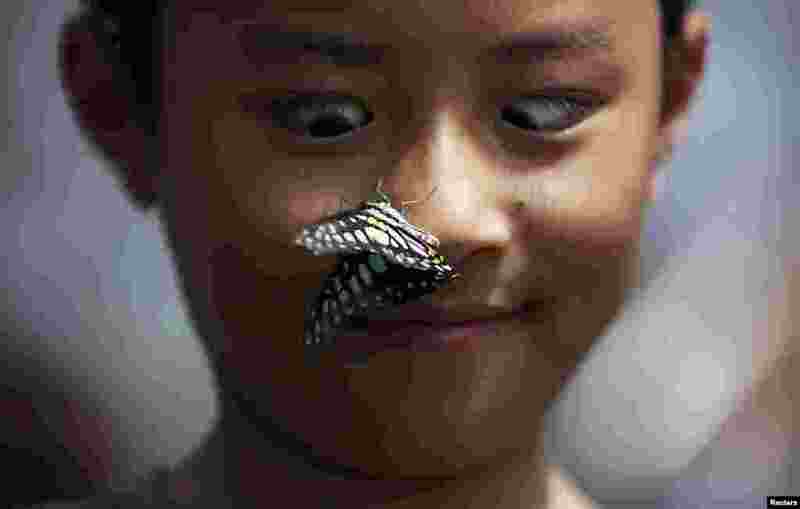 8 A boy reacts as a butterfly stops on his nose during a butterfly exhibition at a park in Kunming, Yunnan province, China, Sept. 26, 2015. 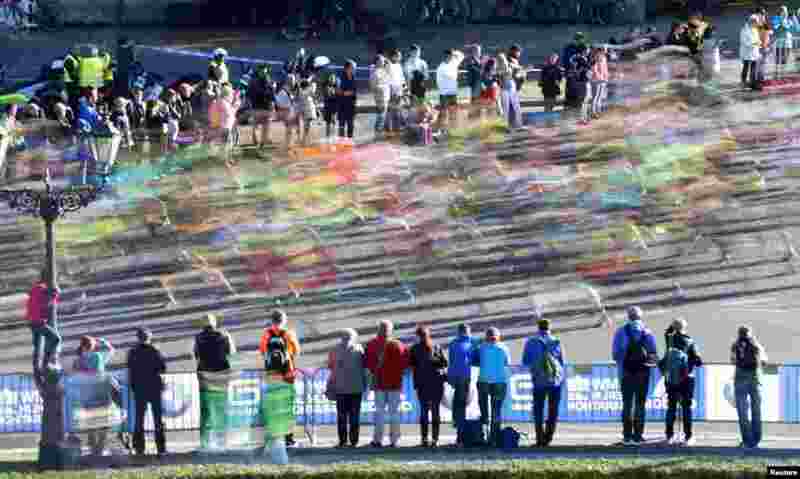 9 Spectators watch as runners compete in the 42nd Berlin marathon, in Berlin, Germany. 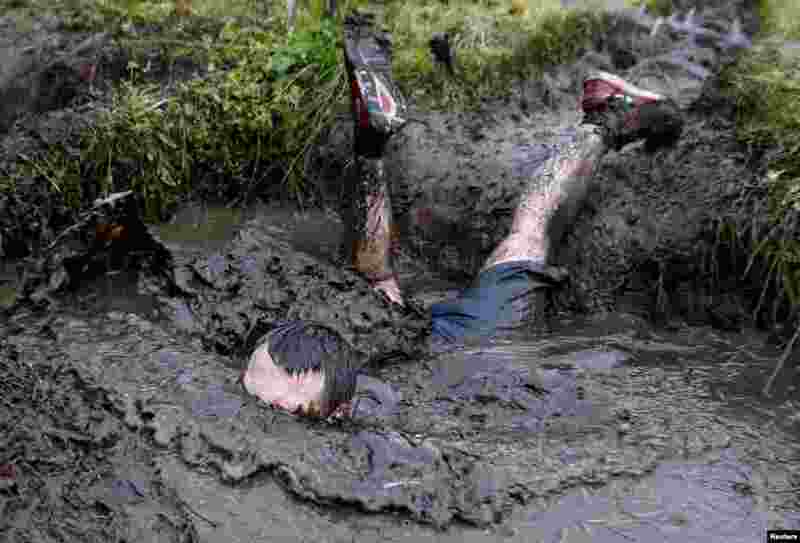 10 A man takes part in an extreme run competition in Zhodino, east of Minsk, Belarus, Sept. 26, 2015. 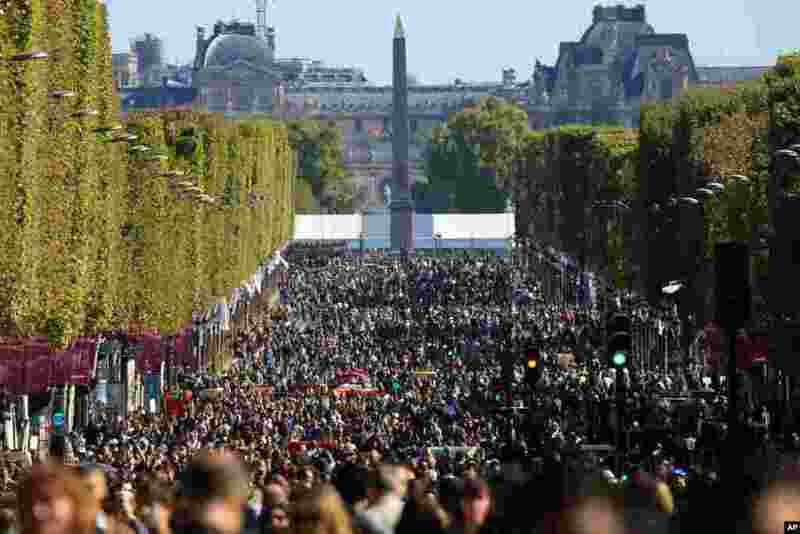 11 People walk on the Champs Elysees during the "day without cars", in Paris, France. 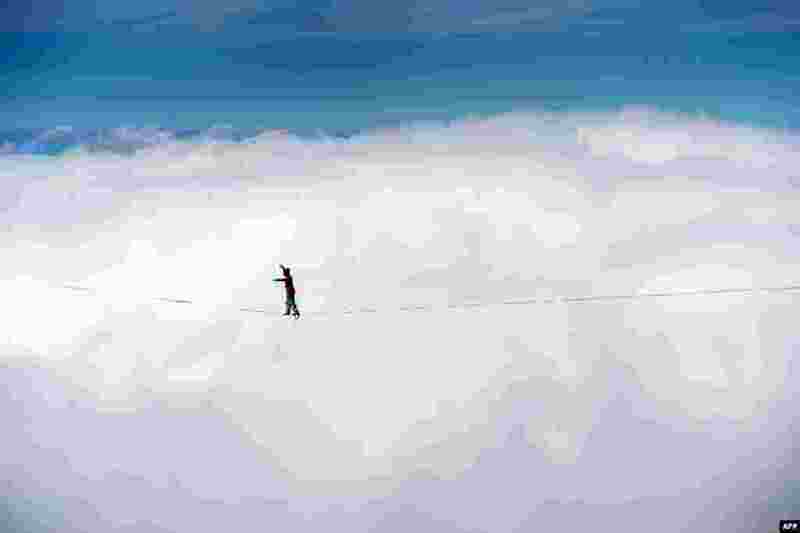 12 France's Guillaume Rolland walks on the line during the Highline Extreme event in Moleson peak, western Switzerland, Sept. 26, 2015. 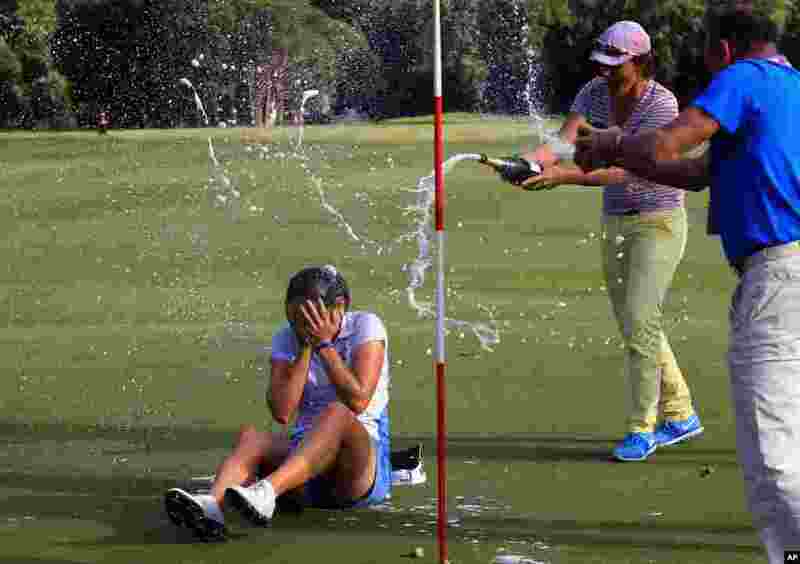 13 Celine Herbin of France gets sprayed with champagne after winning the women's Lacoste Open in Saint Jean de Luz, southwestern France. 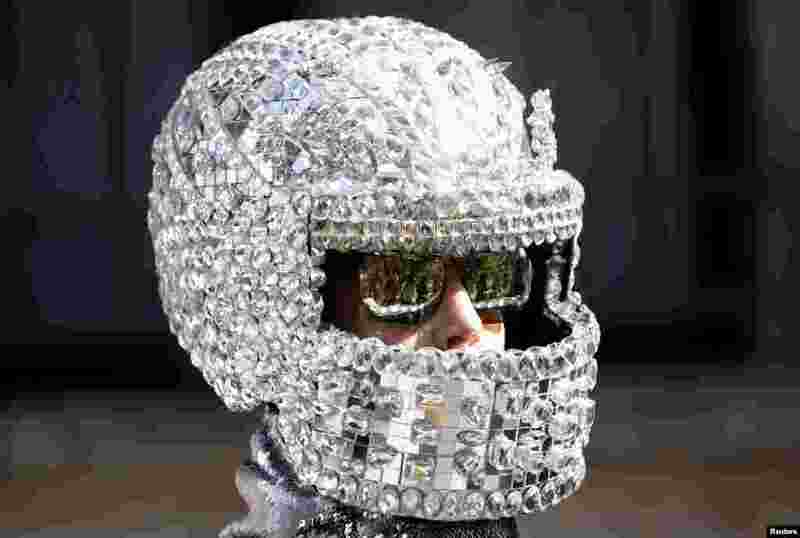 14 A person wears a helmet during the Spring/Summer 2016 collections at the Milan Fashion Week in Italy, Sept. 26, 2015.